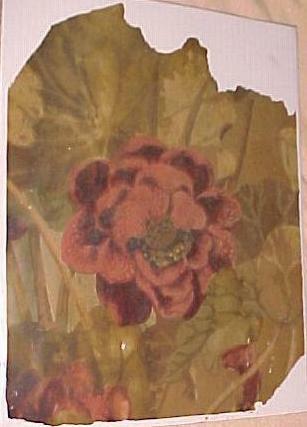 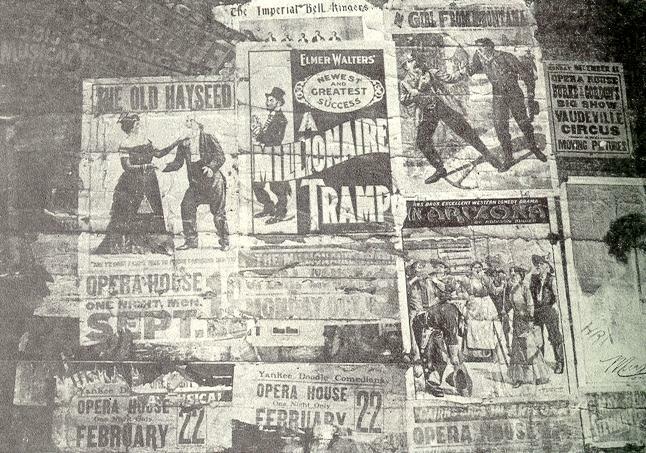 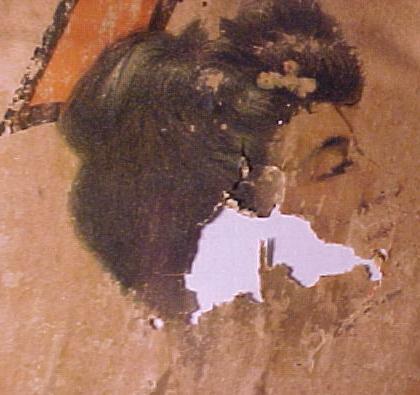 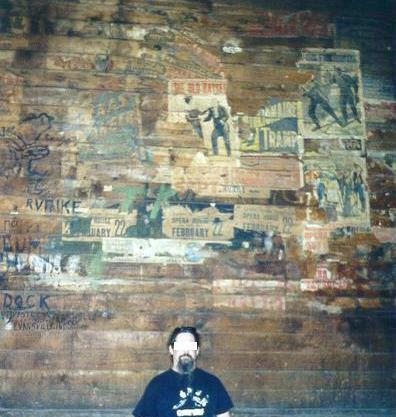 This page shows the remains of some of the posters that once hung in the opera house.As the backstage area was exposed to the weather for so many years they are fast disappearing.These bits were recovered before the opera house was made into apartments.Some were actually on the floor already,including the wall paper with the flower you see.The Old Hayseed was nearly totally loose from the wall ready to drop.One thing of interest that I did not get to photograph was a shelf up in the light loft behind the stage.I climbed into it and there were 3 posters lying on the shelf where they had laid for decades.I touched the corner of one and it turned to dust.I left them lay there.I was out of photos in my camera so I dont have a photo and now its to late.I do want to thank the building owner for his permission to enter,photograph and recover the bits. . . . . . 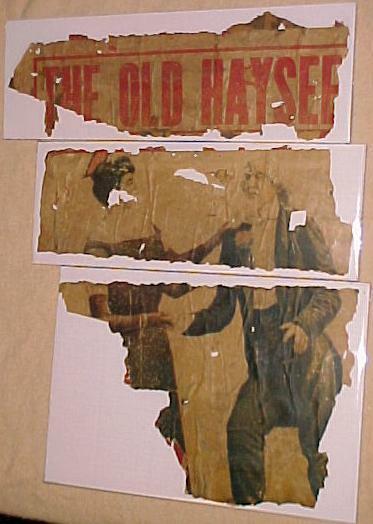 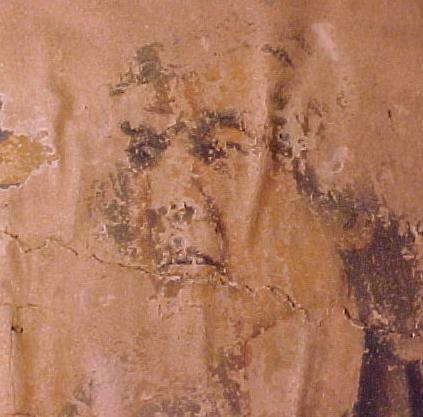 These next two photos show the ravages of time,The black and White photo is from 1976,the color one from 2002.The paper loss is drastic.Time marches on. . .